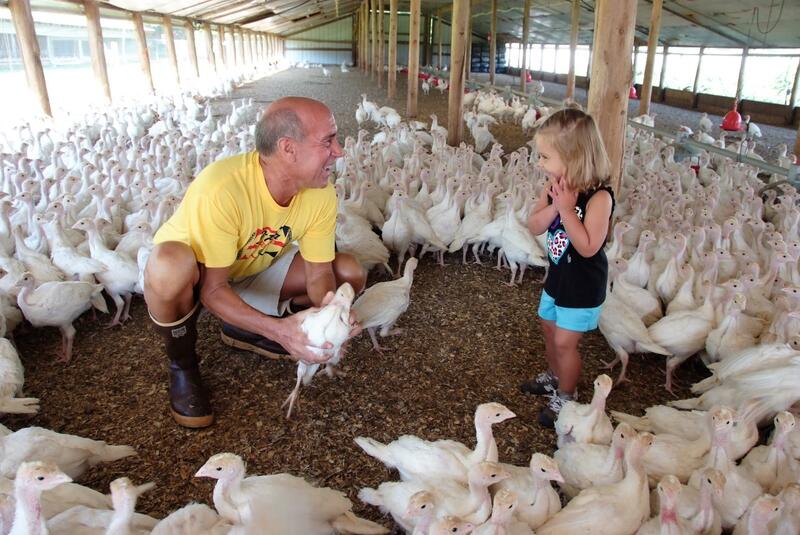 Dipaola Turkeys is a family-run New Jersey farm that began in 1948. Art Dipaola, Jr., a second generation farmer, prides himself on raising only the finest free-range, all-natural turkeys around. A mainstay at the Union Square Greenmarket, DiPaola’s is known for a delicious line of turkey products ranging from whole birds to turkey burgers. For the DiPaola family, the hard work that goes into raising the birds is much more than a job – it is a true way of life. OurHarvest is proud to offer these terrific, farm-fresh birds to you.